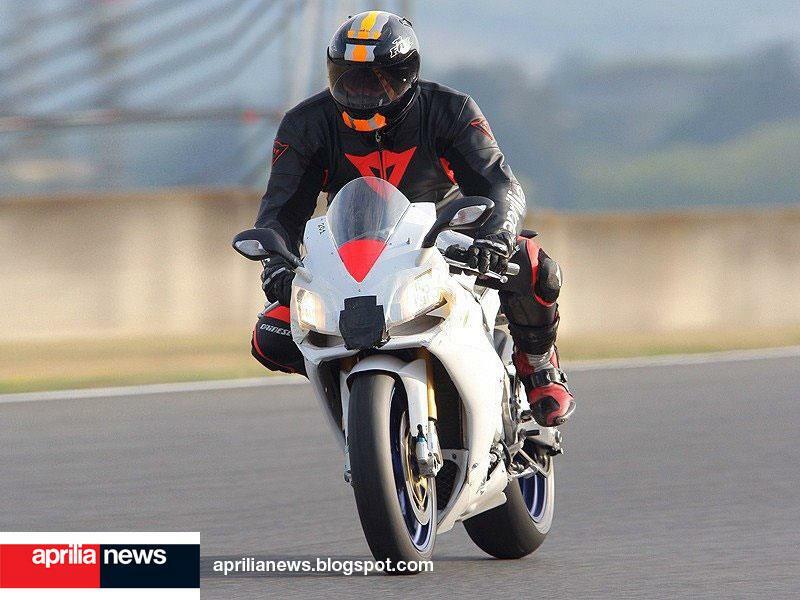 Aprilia’s new RSV4 superbike has been spied days before its official launch in Rome this weekend. The new pictures from the ApriliaNews Blog show a finished road bike minus a few pieces of trim – otherwise the bike is exactly as you’ll be able to buy it next year. The 999cc V4 is Aprilia’s first new superbike since the launch of the RSV1000 Mille ten years ago, and features only the third engine to be designed and built by Aprilia – previous motorcycles in the range used engines from Rotax, Suzuki and Yamaha. The styling very much keeps Aprilia’s family look, but when the official pictures are released a third headlight will also be fitted in the centre – look closely at these pictures and you’ll see the taped up area between the undisguised lights. The engine features state-of-the-art electronics, including the latest version of Aprilia’s ride-by-wire electronic throttle, with independent servo control for both banks of injectors. Aprilia has also said the electronics make traction control possible – and with rival Italian manufacturer already offering such a system on the 1098R and BMW’s new S1000RR superbike also having traction control, Aprilia is likely to fit the RSV4 with it’s own system too. The frame is a compact aluminium beam design which, in conjunction with the engine’s tight proportions, allows a long swingarm for increased grip and drive. The bike as a whole is very small – just look at the test rider for an idea of scale. 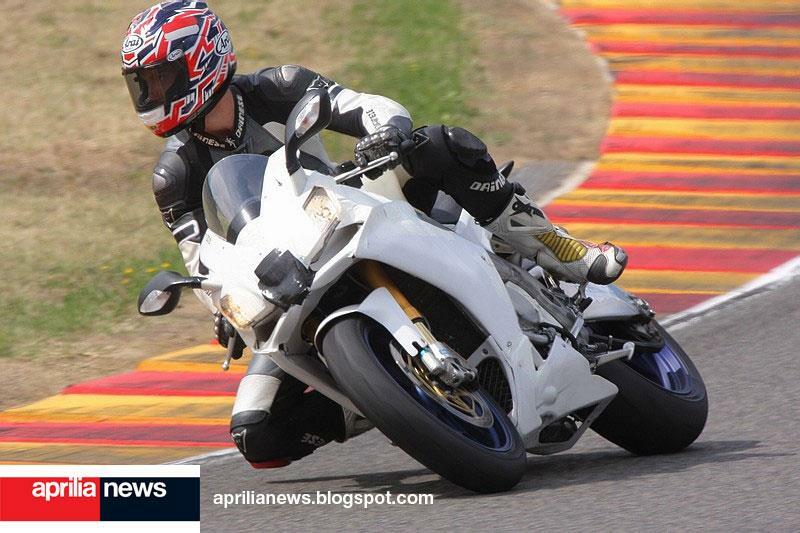 Suspension is from Ohlins, and braking is taken care of by the latest radial Brembo monobloc calipers. Our reporter will be in Rome to witness the launch on Saturday 20 and Sunday 21 September - click back to www.motorcyclenews.com this weekend to see the first official pictures.